When should you have an eye examination? This is a question that often comes up, and as everyone is not the same, it is important to follow the advice your eye care provider recommends. 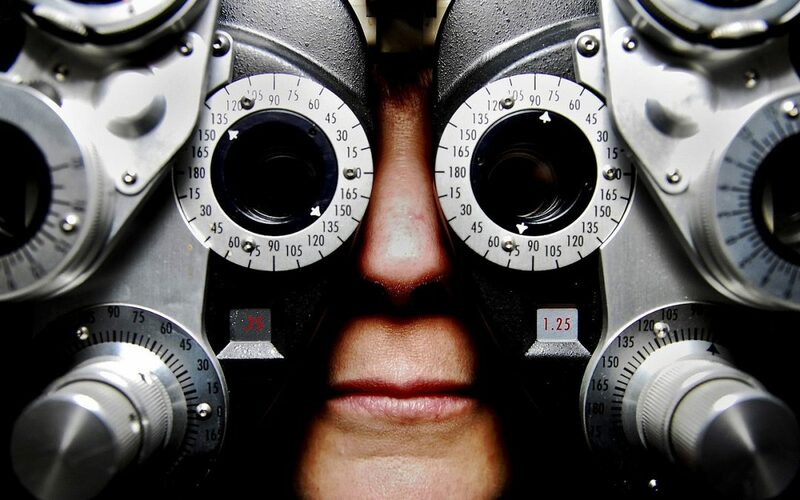 If you are unsure because you have not been to the optometrist in a long time, here are nine signs that should send you to the optician for an eye examination. Unlike going to the dentist, it’s generally not necessary to see the optometrist every 6 months for an eye examination. Typically, a comprehensive eye examination every year will ensure that your eyes stay healthy and your vision remains sharp. If you have a medical condition like diabetes or other ocular disorders, previous eye injury or surgery, if you have a high prescription, a lazy eye or a family history of glaucoma or macular degeneration, you should have more frequent eye examinations. Sometimes there are some signs and symptoms that should send you to the optometrist for an eye examination, even if you aren’t due for one. If you experience any of the nine symptoms below, you should arrange an eye examination as soon as possible and, in some cases, immediate medical attention is required. If your sight suddenly becomes blurry or if you have focussing problems, it can be a sign of a larger health issue and should always be taken seriously, and you need to seek help quickly. However, if the blurry vision comes and goes, or is limited to one eye, you should schedule an examination with an optometrist as soon as possible. Sudden onset of any of these visual disturbances could be a sign of a serious, vision-threatening disorder such as a retinal detachment, retinal tear, or retinal hole. Anyone who experiences these signs must seek advice immediately(within 24 hours, or sooner) from an optometrist or seek medical help for proper diagnosis and treatment to minimize potential vision loss. This is the type of vision degradation that gradually happens over time. If you are noticing that you’re moving a book or the computer screen further away from your eyes than you use to to improve clarity, it’s probably time to get an eye examination. The same applies if you notice yourself sitting closer to the television or have bring objects closer to you to read them. Frequent headaches can be a sign of a vision problem. Changes in our vision take place slowly and are often imperceptible at first. However, headaches can be one of the early warning signs of a change in vision. If you are experiencing re-occurring headaches, you should consider getting your eyes checked. Having some infrequent eye pain or eye strain isn’t usually a big problem. Everything from the amount of sleep you’re getting, to seasonal allergies, or the cold or flu can cause temporary eye pain or fatigue. However, if you experience ongoing eye pain for more than a few days, or if you experience ongoing eye pain with eye movements, it’s a good idea to get it checked out. It can sometimes be a sign of an eye infection or more serious health condition. It can even a warning sign that your vision has changed. It makes sense to get it checked. Frequent squinting (where you partly close your eyes in an attempt to see more clearly) is the obvious sign that it’s probably time for an eye examination. We squint when we’re having difficulty seeing because when we squint only a small amount of focused central light rays are allowed into the eye, preventing unfocused light rays in the periphery from reaching the retina. The result is better vision.This is often one of the first signs in children that they may need spectacles. In addition, squinting coupled with an eye turn, more commonly called a “lazy eye”, is a definite red flag that a comprehensive vision examination is in order. This is especially true in children, and if not detected and treated early enough, permanent vision loss may result. If you notice yourself squinting regularly arrange an eye examination. A sudden onset of sensitivity to light can be a sign that you should get an eye examination. Light sensitivity can be a symptom of a number of disorders or eye diseases as well as an eye infection. If you find yourself regularly experiencing light sensitivity, or if it increases, it is worth arranging an eye examination. If you experience swelling of the eyelids, itchiness, redness, a pink discoloration of the whites of your eyes, and/or discharge, you may have an eye infection. If you experience any of these symptoms, schedule an eye examination or visit your doctor immediately to have it looked at. 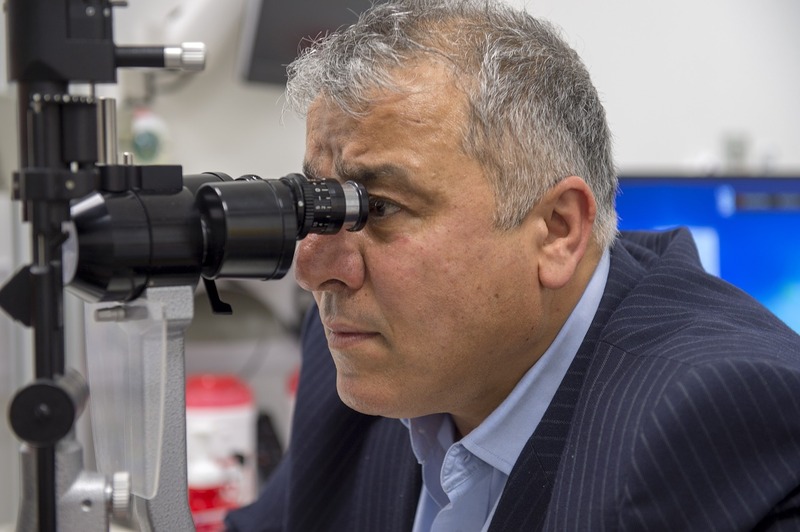 If you haven’t had a full eye examination in the past two years, you should arrange one. It is important to note that for some people, an examination sooner than every year is critical to ensuring your eyes stay healthy. Natural changes in the eyes associated with age makes more frequent eye examinations necessary as you grow older, especially if you haven’t had one in a few years and whatever your age, an eye examination is an important part of maintaining your vision and overall health. Eye examinations can often reveal developing health issues that aren’t easily found even with a physical by a family doctor. Children require eye examinations every year or sooner, as their vision changes rapidly with growth. As such, it is always worth getting your eyes checked and please remember to follow your optometrist’s recommendations for follow-up visits and annual examinations.